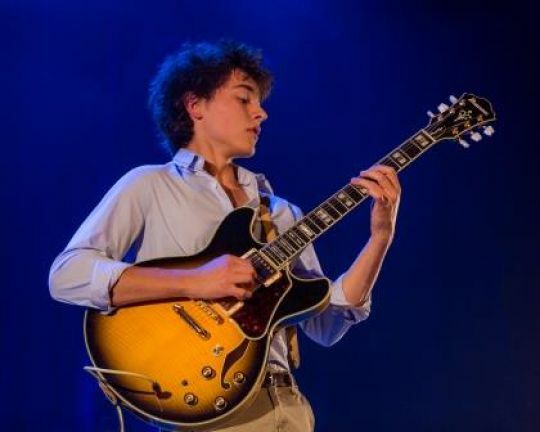 Tom Ibarra, the 18-year-old French guitarist and composer, is a true sensation in the jazz world. He won the LetterOne award in competition with 270 other European musicians. His performance at the Leopolis Jazz Festival will be part of his tour that covers seven major jazz festivals in Europe (Nice Jazz Festival in France; JazzOpen in Stuttgart, Germany; Heineken Jazzaldia in San Sebastian, Spain; the Kongsberg Jazz Festival in Norway; and the Cheltenham Jazz Festival in the UK).